At the International Yacht Restoration School in Newport, R.I., students learn by doing. In the school’s boatbuilding and restoration program, they restore plank-on-frame boats and, in the process, learn their craft and career skills. On graduation day last Saturday, IYRS students launched their nautical handiwork as well as their careers in the marine industry. North Sails president Ken Read was the featured speaker and he talked about building a profession from a passion. As a young college sailor, Read was drafted by the sailmaker Shore Sails. He commended IYRS students for their hands-on skills because they are the types of skills Read did not have when he started with Shore. He was thrown out onto the sailmaking floor to learn how to build sails, but was quickly moved to the helm of raceboats to do what he has always done best: make boats go fast and win races. Under a cloudless blue sky, IYRS graduates — along with family, friends and IYRS fans — launched the boats they restored during the last year, including a twin-cockpit, double-planked, 25-foot motor launch restored to Herreshoff lines; a 20-foot Fish Class sloop designed in 1916 when Nathanael Herreshoff expanded the lines from his 12-1/2 sailboat; an 11-foot Class B one-design frostbite dinghy originally built in the 1930s at the Herreshoff Manufacturing Co.; and a fleet of 12-foot Beetle Cats. 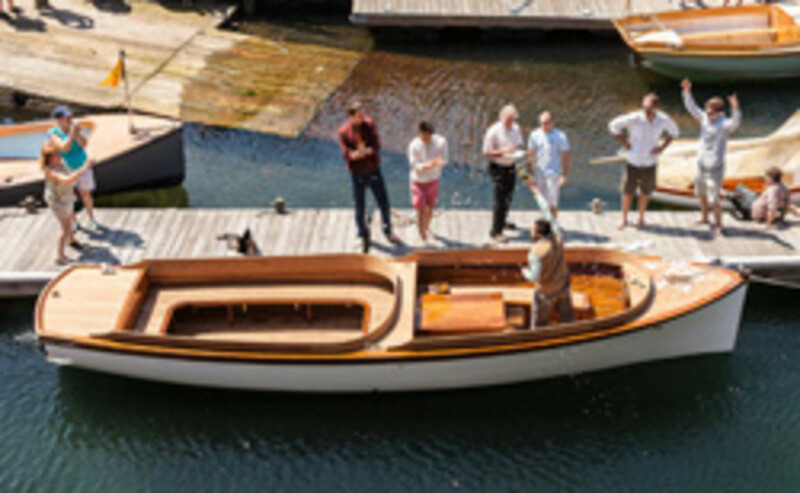 By the week before graduation, the majority of students in the boatbuilding and restoration curriculum had jobs lined up at boatbuilders and other marine companies from Maine to Florida.